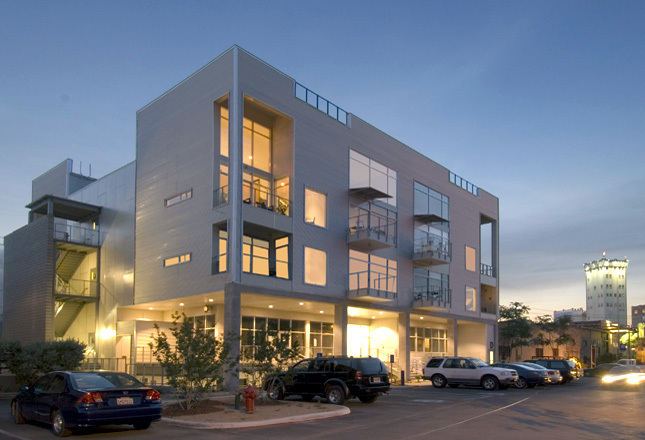 BlueStar Lofts | Robey Architecture, Inc. 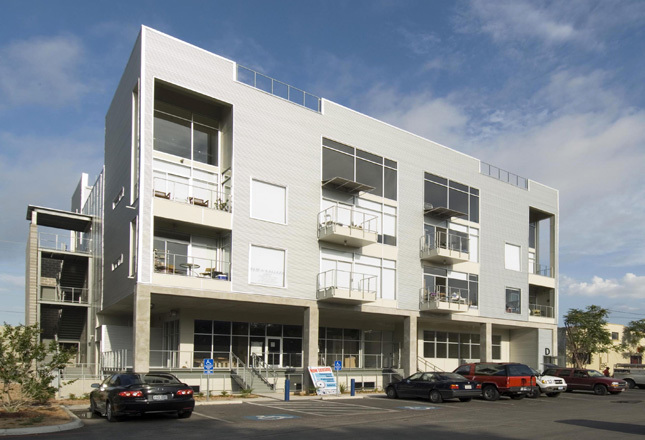 The Blue Star Lofts is a 29,900 sq ft mixed-use building located in an established industrial arts complex near downtown San Antonio. 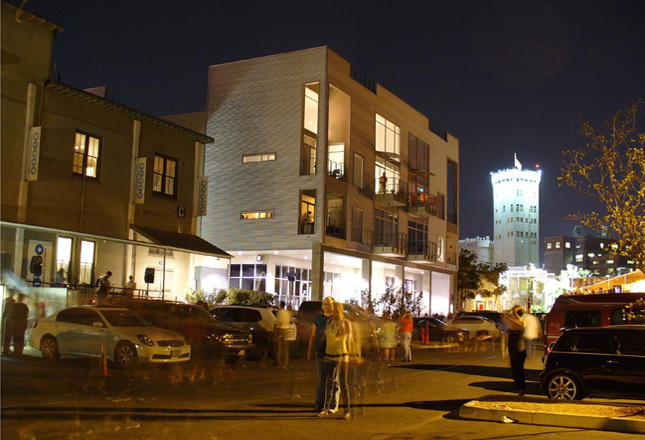 The 20 yr. old Blue Star Art complex is an adaptive reuse of a once abandoned complex of industrial warehouses that houses art galleries, living spaces, and not for profit art spaces. 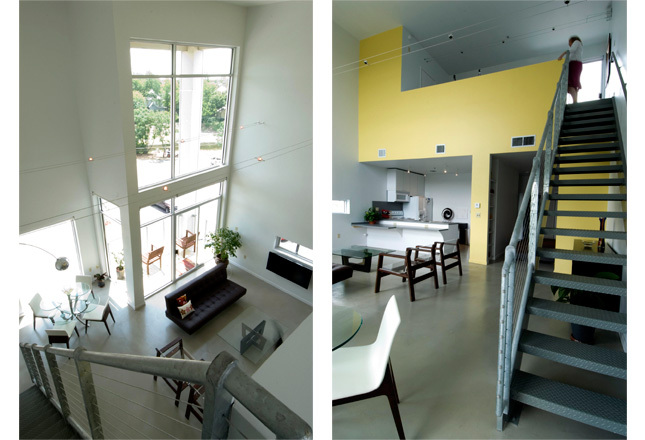 The 4-story building consists of two lower commercial levels and two upper residential levels, the uppermost floor containing mezzanines with individual access to the rooftop terrace. 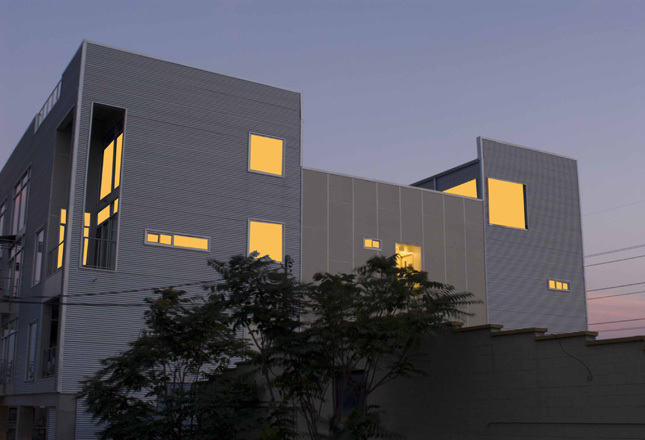 The building possesses materials and massing forms that animate the surrounding industrial structures. 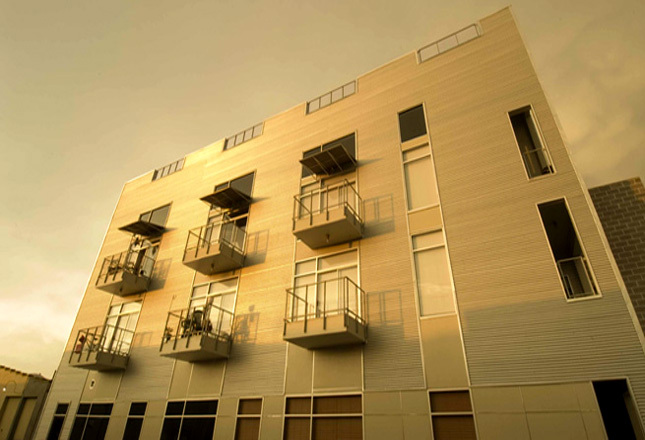 These materials include corrugated metal, fiber-cement board siding, commercial aluminum storefront, and exposed steel and concrete structural elements. At the commercial levels, the building mass was pulled in so that additional shaded outdoor spaces can be enjoyed. These elevated patios and basement garden areas open up to the public areas and create a dramatic streetscape. There are 16 open plan apartments designed with attention to simplicity and flexibility. 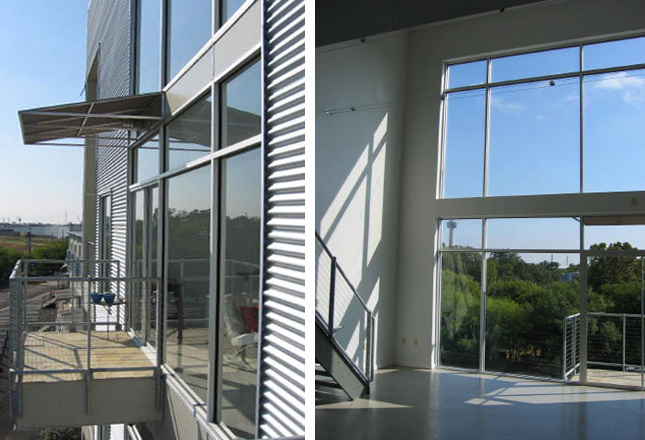 The building’s primary orientation is to the east and provides modulated daylighting of the spaces as well as views out to the river and the surrounding downtown skyline.